It’s Burwell Recipe Swap time again! I must say, I was pretty excited when CM sent out this month’s recipe, something simple and savory and a good contrast to the sweets that pour out of my kitchen (and often straight into my belly). I cook all the time, and can pretty much cook anything, but I rarely actually post what I make because I usually don’t measure, work by instinct and create as I go along. So, jotting down numbers and results is good for me. I love the “foot of Oregon Avenue” in the address title. I’m going to start to describe my apartment location in that way. For this recipe I didn’t feel like going too crazy. During the winter months I crave vegetables and citrus fruits, needing to fortify with vitamins and root foods. So squash makes a regular appearance and I often omit meat from my meals. 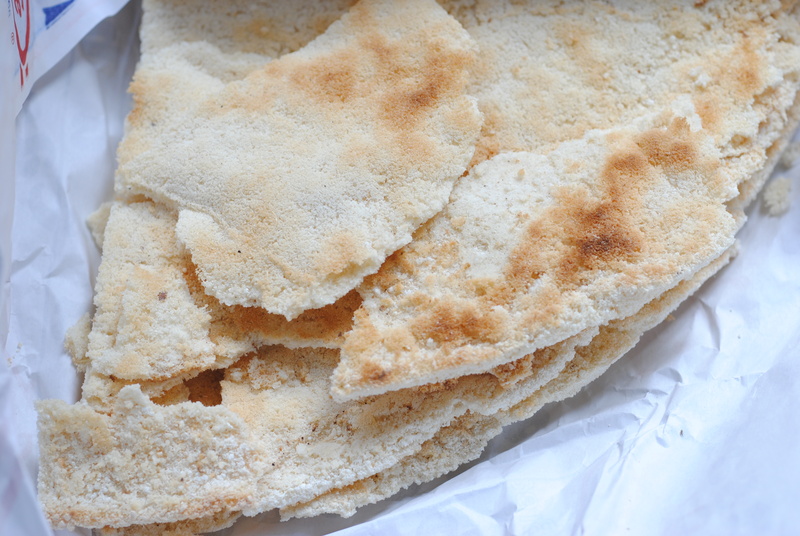 Instead of just replacing wheat bread with gluten-free bread, I planned to use three grains that I love – jasmine rice, millet and quinoa – but then discovered cassava bread from the Dominican Republic in my local market and figured I’d try it. On it’s own I’m not a fan – made with only yuca, I have a feeling what it tastes like originally is not what made its way to Washington Heights. This bread is really hard, and sorta tasteless. But it crunches well in the recipe, adding some texture. And now I know. If you can’t find cassava bread I suggest using gluten-free rye crackers instead, or omitting completely. This feeds one person as a vegan, filling entree, or split between two as a side. I’m making it for brunch. Yum. Oh, and this is day 2 of my 3 swaps in a row! Check out my Chocolate Ginger Puer Tea Bread (gluten and dairy free) from yesterday’s Chocolate Love swap, and tune in tomorrow for Carrot Cake Truffles (gluten and dairy free) for the first Milk Bar Monday swap! Please visit the other swappers to see what deliciousness they’ve come up with! Take a small slice off the curved end of the squash so that it sits flat in a baking dish. Brush lightly with olive oil and bake while you prepare the grains and vegetables. In a small pot, toast the 3 grains on medium heat until fragrant. Add water, bring to a simmer and cook, covered, until all the water is absorbed (about 10 minutes). Meanwhile, heat a large skillet on medium heat for about 2 minutes. Add the olive oil, vegetables and seasonings and toss to coat. Cook for about 5 minutes until they start to brown. Add the vinegar and cook until soft, about 20 minutes. In a large bowl, combine cooked grains, vegetables, cassava bread, nuts and dried fruits. Stuff into the cavity of the half-cooked squash, drizzle with olive oil and return to oven for 20 minutes or until squash is cooked and stuffing is toasty.